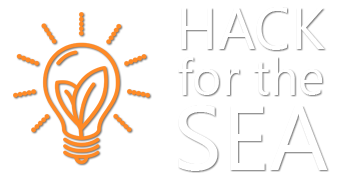 It's time to start preparing for the 2nd Annual Hack for the sea. Right now, just save the date: September 15-17 in Gloucester, MA. The topic this year, in addition to the traditional maritime theme, will be focusing on sustainability in both systems and data. We live in extremely volatile times and we need to find ways to make both our data and systems withstand the ups, downs, lefts and rights. This is true both literally and figuratively. Between now and September we will be gathering partners, judges, subject matter experts, presenters and sponsors. If you're interested in any capacity, or have any questions, get in touch! This event is open to professionals, college students, and high school students. The final submissions must be bundled with a license from https://choosealicense.com/. There will be a workshop at the event to help attendees do this easily. Register here, or go to http://hackforthea.com and click the apply button there. Is the idea deployed to the public? How close are you to launch? Maybe silly questions for a 30 hour timeframe, but we're here to to get ideas and tools out to the world at large. Thus, this will be a criterion for judging.